So this time, we were invited to the Cholistan Jeep Rally 2016 by Toyota (Indus Motor Company - IMC) as they are now associated with almost all the Motorsports happening in the country. 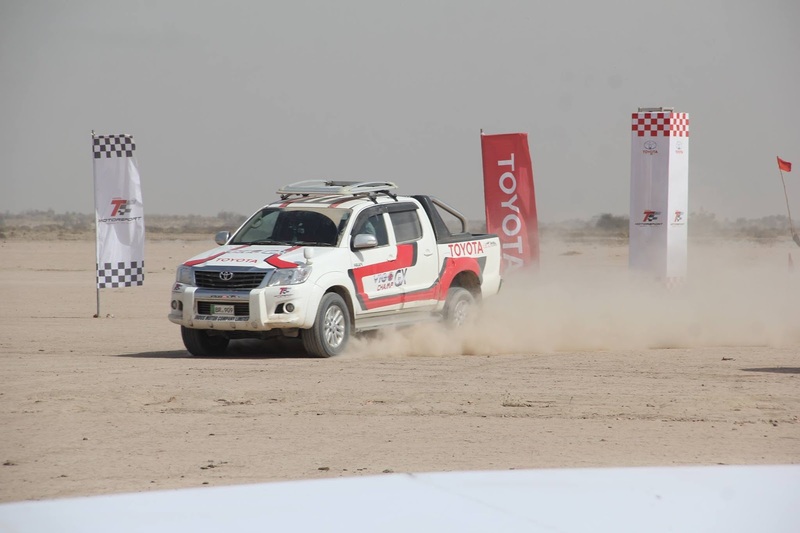 I really appreciate Toyota for their participation towards Motorsports as it highlights positive image of Pakistan in the bigger picture. Also, for promoting activities which are not common for people living in the country. This 3 day event was mind-blowing as it was my first experience of a rally. Moreover, the activities throughout these days were, Test Run, Vehicle Check and Inspection, Qualifying Round and The Final Race. 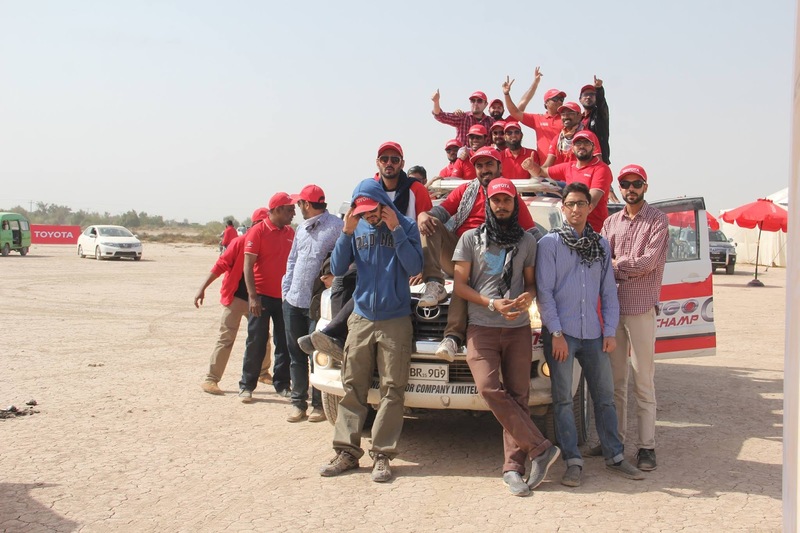 Our journey started when we reached Multan, then travelled all the way to Bhawalpur, then Cholistan. 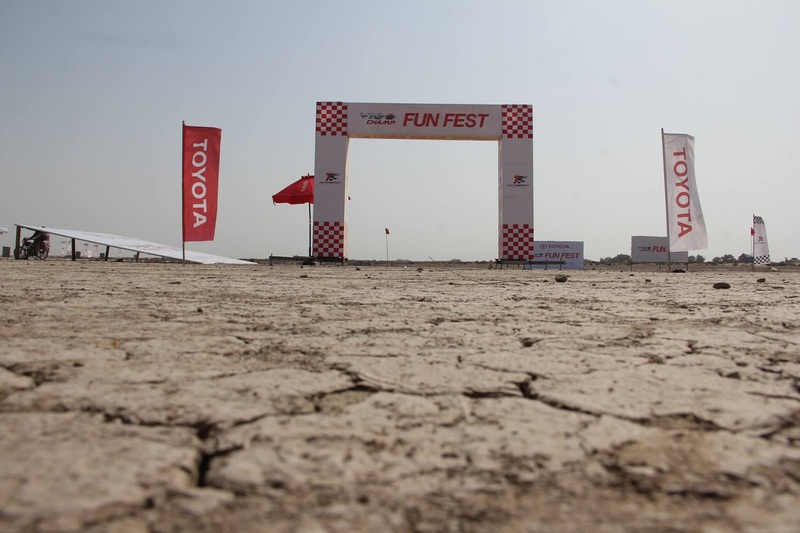 It was pretty clear from the beginning that Toyota was one of the biggest partners of the rally since the hoardings and billboards were everywhere. For the next two days, Owais Khakwani, Toyota sponsored driver, was driving a 3.0 L Turbo-Charged Diesel Vigo Champ, modified for safety and performance. This car I would say, was really the car to win the race. However, Owais Khakwani couldn't complete the race due to technical issues with his vehicle but played a very important role throughout the rally, and we appreciate that. Also, the pilot vehicle in the beginning of the race was also Toyota IMC branded. On the Final Race Day, while the race was still in progress, Toyota took us for an off-road test lap, approximately 2km, which they called it as their Vigo Fun Fest. Almost the whole Toyota Crew was given a chance to off-road their Vigo Champ. It is without doubt one of the best cars out there for off-roading. Overall, this was hands down one of the best experiences of my life. And I thank Toyota IMC for this opportunity. For more details, join the conversation on #CJR2016!